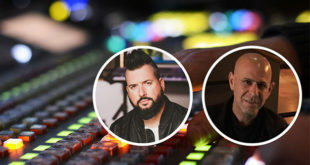 For the second consecutive year, Masque Sound company Professional Wireless Systems (PWS) was hired to handle frequency coordination for the wireless microphones, in-ear monitors and communications for all of the performance stages and media at the Lollapalooza festival in Chicago’s Grant Park. In spite of the harsh weather conditions that struck the event, the festival continued for the full duration, with the PWS team managing to coordinate three days’ worth of music. 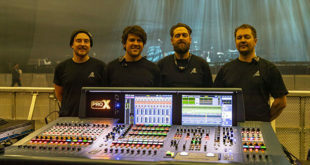 A PWS crew of five was responsible for handling 400 frequencies per day between the eight stages and on-site media at the festival. In order to help coordinate these activities, PWS worked closely with production company C3, the media organisers and stage managers. To ensure proper frequency coordination, PWS sent out coordination forms to the Lollapalooza stage managers and media reps one month prior to the event. The forms were then forwarded to all the entities attending the event. Schroeder explained: "We try to get as much information about the RF needs of the performers and media ahead of time. This minimises the potential for problems. It’s a challenging event, but our team of experts has extensive experience in coordinating large events and does a fantastic job." Meanwhile, the company’s Helical Antennas were utilised by PA companies 8th Day Sound and Crossroads Audio. 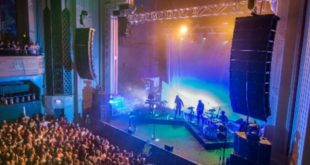 PWS’ Dome Antennas were also put to use by several of the bands in a bid to reduce the risk of drop-outs and ensure the strongest possible signal for microphones and in-ear monitors.